Whether your focus is on experiencing the warm and friendly Tico culture through a volunteer project, the heart-pounding, adrenaline-pumping adventure activities or seeing as many animals as possible in their natural habitats, we have tours that focus specifically on these elements. We want to know what gets you excited! Our knowledgeable Costa Rica itinerary design specialists will apply their years of experience as adventure guides to design the perfect trip to fulfill your goals for the trip. We can focus these itineraries on visiting National Parks or around a specific sport like white-water paddling or mountain biking. If you are looking for out-of-the-ordinary Costa Rica adventure vacations, then you’ve come to the right place. These itineraries are very unique, often include overnight adventures and are great for those who want to experience Costa Rica’s best adventures! If you are looking to combine some volunteer work with your travel, we can help you with that as well. These volunteer trips work especially well for families with older children. They are ideal for those who are making a return visit to Costa Rica. Review our adventure and nature vacation itineraries below, or customize your own trip. Travelers looking to embark on this unique adventure will experience a wide range of Costa Rica’s natural environments. This itinerary includes a heart-pounding descent on the white-water rapids of the Pacuare River, before traveling north to the “Adventure Capital of Costa Rica” where you can go Canyoning, waterfall rappelling and soak in the natural hot springs of Volcan Arenal. The trip ends with an in-country flight to the Osa Peninsula where you will explore the intense Corcovado National Park from the land and water! This adventure takes you deep into the Southern Pacific zone of Costa Rica. From the SJO airport you will travel south to begin a adventure in the mountainous jungle overlooking the Pacific Ocean and Osa Peninsula. You’ll trek up into the mountains where you will remain for a couple of nights participating in daytime activities like rappelling down waterfalls and cliff-jumping into pristine river pools. The accommodations are very natural and the guides are one-of-a-kind. After you time in the mountains you can choose to go directly to the Osa Peninsula or stop off in Dominical for a night or two to check on the waves and do some surfing. Ultimately, you will take a boat ride to the Osa Penisnsula where you will go snorkeling, hiking and see a massive array of wildlife before returning to the SJO airport on an in-country flight from Drake Bay. For those who want to truly experience the Caribbean side, this adventure starts in the mountains on the Caribbean slopes of Costa Rica with an adrenaline filled rafting trip through the primary rainforest and down the Pacuare River. This river trip takes you most of the way to the Caribbean Coast to the quiet fishing village of Cahuita. You will explore the remote beaches and their tide pools along with the National Park and its abundance of wildlife. You will then cross the border of Panama where you will be driven to a boat, which will take you to Bocas del Toro and Isla Bastimentos. You will stay here for a few days soaking it in. The scuba diving and snorkeling is incredible here and the accommodations are out of this world! You will return directly to SJO by way of in-country flight. The philanthropic traveler will enjoy this unique travel experience, which visits both the mountains and beaches on the western side of Costa Rica. You will spend two days donating your time to a wonderful cause. At the same time you will be able to practice your Spanish and integrate into the culture of Costa Rica as you volunteer at a local school, orphanage or wildlife center and gardens. You’ll have plenty of time to take in adventures and enjoy the beaches as you travel on this itinerary. Review the Adventure & Nature sample itineraries. Tell us with an email or phone call which itinerary(s) you like. Email us some details about: Who is going on the trip? What time of year will you travel? What will be the duration of your travels? We can begin personalizing the vacation and will set up a time to speak over the phone. A personal conversation is an important element as the itinerary process begins. We completely understand that these trips are large investments of time and money. We want to speak with you to personally ensure that our upscale services are a good match for your Costa Rica adventure itinerary. The CRE itinerary design team is available and able to speak over the weekends and in the evenings. Based on a quick intro telephone call, CRE can begin to create an itinerary. When the preliminary itinerary & price range is ready it will be sent to you for review. The itinerary design team will continue to personalize your vacation’s price point and inclusions based on your feedback and wishes. This process will continue as the details are finalized as the time leads up to your trip’s departure date. You will be notified of due dates for your itinerary’s inclusions as they present themselves. Costa Rica Escapes doesn’t include airfare in our Costa Rica vacations. CRE can give industry knowledge & airline advice on the best airfare during the planning process, but it will be up to the individual traveler(s) to purchase the tickets. You do not have to have your airfare purchased before or after you contact us. At some point, travelers need to email CRE their flight information. CRE will work to customize the trip around the purchased flight times. When you are ready to secure your itinerary, we will request a deposit and application to move forward in the process. Together we can organize a schedule of deposits. We will request a sufficient amount to begin. After a deposit is processed, the details for your itinerary’s accommodations will be shared with you through an email. When a deposit has been processed, CRE will verify availability for chosen accommodations and share these details with you. You can research & reconfirm lodging and send CRE your thoughts. This gives everyone the chance to discuss the accommodations and provide feedback. CRE almost always exceeds expectations for accommodations with the travelers that we work with, because we take a great deal of pride in the accommodations that we select for our travelers. 7 days / 1 week, before your trip’s starting day, you will be emailed a day-to-day, Costa Rica vacation itinerary, which details all of the instructions and information needed to implement your self-guided, Costa Rica adventure vacation. Ready to Plan a Costa Rica Adventure & Nature Vacation? Contact Us! Is Costa Rica safe? – Yes, Costa Rica is very safe. Over the recent decade, Costa Rica has grown in popularity as a major international destination for adventure & nature seekers. There are a plethora of hospitals and healthcare clinics with educated and bilingual staff throughout the country. Costa Rica does not have a military and very little violent crime. 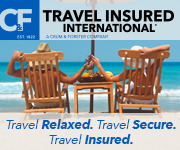 Travel insurance policies are affordable and readily available from reputable North American agents. Service suppliers, transportation agencies and adventure outfitters and are well equipped and regulated. Guides are trained in basic first aid as well as advanced wilderness medical care, but as always it is very important to use your resources to connect you with these best-prepared service providers. Is Costa Rica safe to drive in? Yes, if you are using professional private, semi-private or public transportation companies. In order to increase safety and decrease your stress level, we strongly recommend that you do not rent a car on your Costa Rica vacation. Driving rules in Costa Rica are very different than other places. State of the roads along with directional signs and lighting on roads are not always in great shape or very trustworthy. The expense of a rental often exceeds the cost of private transportation which comes with less responsibility, too. When should we purchase airfare? Airfare can be purchased at any time during the planning process and even before reaching out to us. CRE can assist in the airfare purchasing process with industry advice and ideas, but CRE does not purchase airfare as parts of our Costa Rica itineraries. Which airport(s) in Costa Rica should we use? In Costa Rica there are two main airports. You can use one or both airports on your travels. This is determined by the type of experience that you want to have during your Costa Rica adventure travel trip. We will share our creative thoughts on this with you in the planning process. Do you offer travel insurance? Yes, we have a preferred provider that we promote. Is there an emergency, in-country contact? Yes, along with an in-country contact, you will have all information for all of the suppliers that you will be working with during your travels.